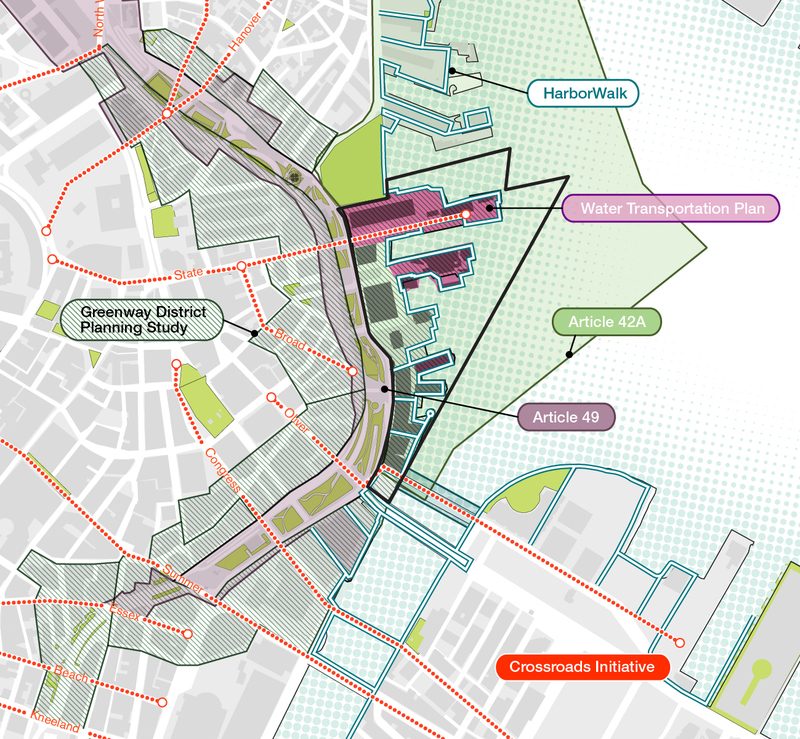 Utile has been selected by the Boston Redevelopment Authority (BRA) to lead the Downtown Harbor Planning and Greenway Zoning Analysis project. Working closely with the BRA and key subconsultants Durand & Anastas and Noble & Wickersham, Utile will develop a vision for shaping development and improving the Downtown waterfront. This planning effort will result in a Watersheet Activation and Public Realm Plan, a Municipal Harbor Plan, and zoning guidelines for the Greenway District. The BRA Board unanimously approved Utile, Inc, a premier urban planning firm, to assist BRA staff in creating and shaping redevelopment at the water’s edge. Utile, Inc is partnering with two highly qualified subconsultants, Durand and Anastas Environmental Strategies and Noble and Wickersham, firms that bring extensive knowledge of waterfront development and decades of experience to the process. Over a two year period Utile, Inc and its subcontractors will work with the BRA and the community to shape a vision for the waterfront that improves public access to the cleaned-up Boston Harbor and the Boston Harbor Islands, and creates new and improved connections to the Greenway. Read more about the project in the December 22nd issue of the Boston Globe.